Journey through Abruzzo and its authentic regional cuisine with this exquisite box of gourmet Abruzzo Recipes Box. Each one includes 6 of the region’s best artisanal imported products. In addition to that are the story of Abruzzo Nonna Palmerina (who used to own a restaurant) and 3 of her favorite traditional recipes. What’s in the Abruzzo Recipes Box? Each box also contains 8 high quality stock cards with enogastronomic and Italian cooking traditions. It also has product serving suggestions and 3 traditional recipes with wine pairings from our in-house sommelier (VALUE +$15). 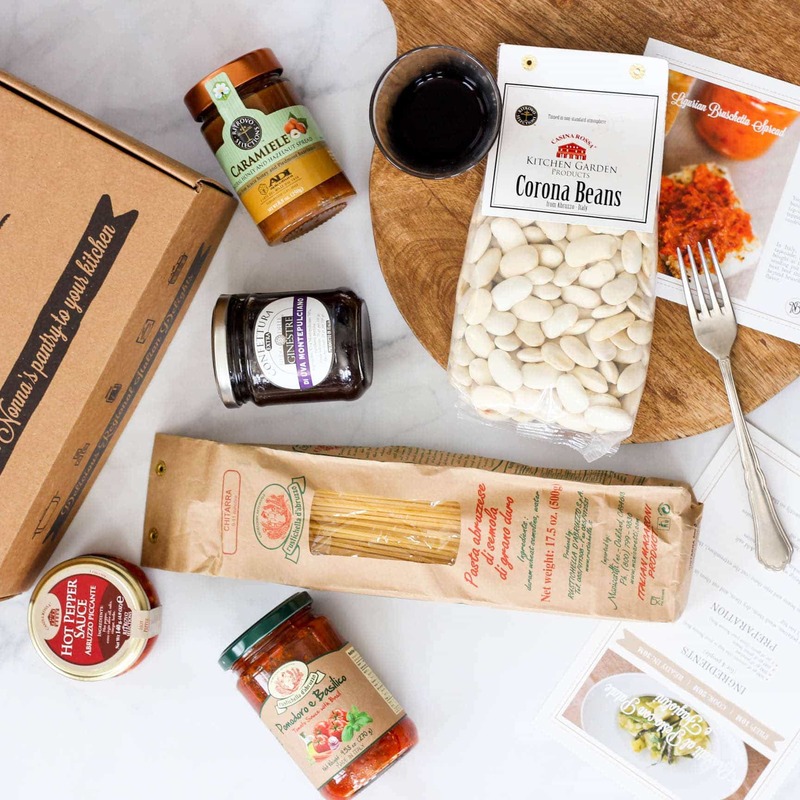 The team at Nonna Box has really created a beautiful box that represents the cuisine and the products of Abruzzo. The cards and the recipes are detailed and with very interesting information about the region and its culinary history. Well done! I love my beautiful gift representing my family’s region of Italy. The box presentation and note cards explaining various traditions and recipes are a treat to read. And the authentic products are amazing.